The ELMC1 is a portable 2-Channel DJ Midi Controller from American Audio. 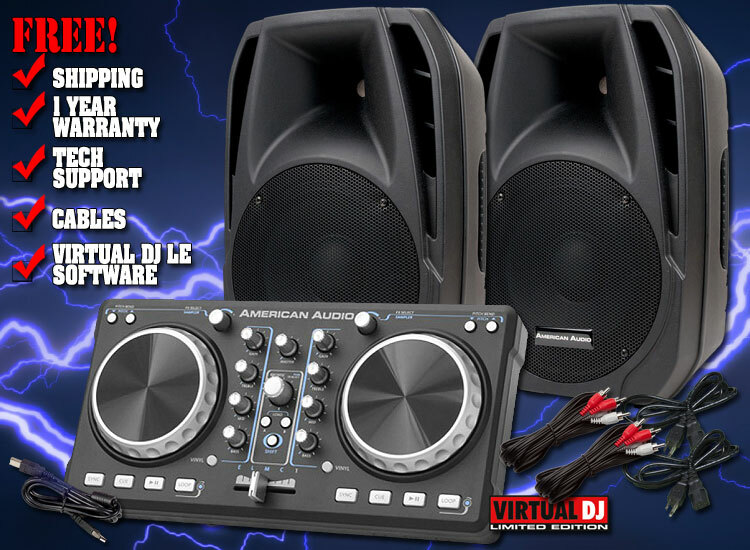 This DJ Controller is easy-to-use and allows users to start mixing right away because it includes Virtual DJ LE software in the box. Scratch or search for tracks with the large jog wheel, or use the Browser Knob to find the perfect tune to keep the crowd wanting more. The built-in Crossfader allows you to mix with ease. The Gain, Treble, Mid and Bass knobs along with the Sync and Loop features allow you to tune track to perfection. Weight: 3 lbs. / 1.07 kg. Mapping or Learn feature required in software. Weight: 18 lbs. / 8 kg.